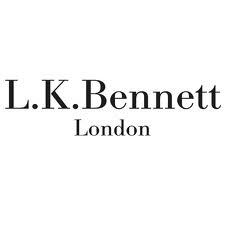 Luxury British fashion house L K Bennett has established itself at the forefront of fashion, offering sophisticated collections of shoes, womenswear and accessories to meet the lifestyle and requirements of the modern woman. Originally renowned for signature shoe collections favoured by celebrities and stylish women alike, L K Bennett rapidly became the ultimate destination for elegant footwear, leading to the introduction of womenswear collections in 1998. 10% off full priced purchases in both the One New Change and City Store. Not valid on conjunction with any other offers. To redeem this offer; present your Privilege Card in store.